What are the boundaries of your workspace? The Kohler Fellows @ WID invite you to share a photo of your workspace. These spaces could be anywhere from the bus to the kitchen table, office, lab, field, or factory. 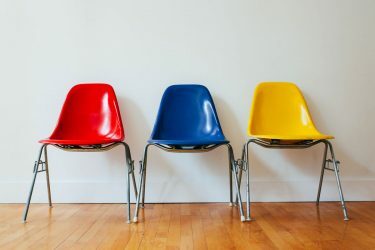 Fellows are seeking to understand how the university works by taking a photo of your workspace, however you define it, and sharing it with them as part of their workSPACE project. 1) Take a photo of your work space (a “spacie”). You can be in it or not. Caption your photo with your discipline, role or job title, and, if you wish, your name. If you want, you can add more information about your workspace or about the kind of work you were doing when the photo was taken. 2) Share the image with the hashtag #spacie on the fellows’ Facebook, Twitter, Flickr and Instagram pages, or send an image that you are comfortable with them sharing on those social media platforms to kohlerfellows@gmail.com. 3) Your photo will be used as a part of workSPACE displays and events, which may be either virtual or physical. The university has traditionally been imagined in ways that separate researchers and students according to fields of knowledge, methods of inquiry and academic departments. But how do university workspaces reflect and exceed these imagined divisions? How do (or should?) our similarities deconstruct the boundaries between academic departments? Similarly, academia can often seem separate from the outside world. But in an increasingly interdisciplinary and complex world, the walls of the university are more porous than ever. Thus, this project is not limited to the academy, but invites submissions from those who do all kinds of labor in all kinds of places. 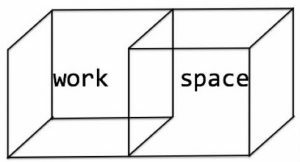 How do constructions of space work with or against notions of the boundaries among academic disciplines, and between work and life? How might we start to re-imagine the way the university is organized by looking at the literal spaces in which the work of graduate students and postdocs happens? Is much of graduate student and postdoc labor invisible? If so, how can it be made more visible?